The Middletown Insider: Chris Murphy: Cat Got Your Tongue? Chris Murphy: Cat Got Your Tongue? 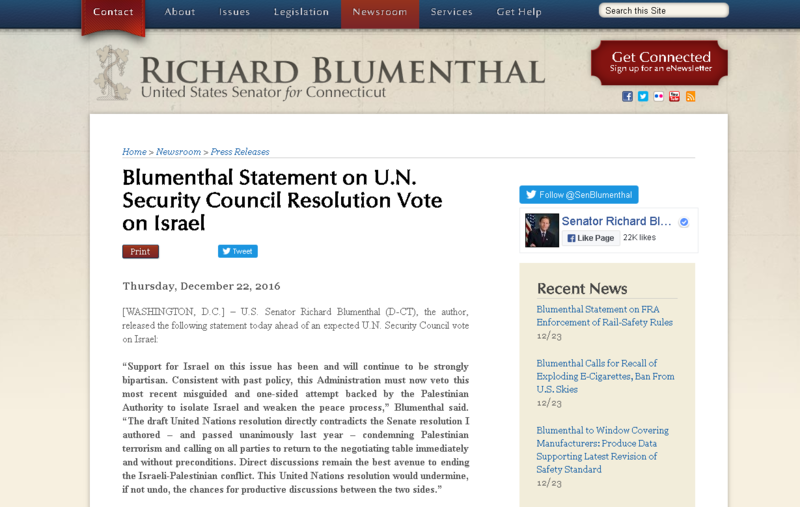 When his senior colleagues Sen. Richard Blumenthal and Senate Democratic Leader Chuck Schumer both do the right thing and take a stand repudiating President Barack Obama's parting back-stab to Israel at the United Nations, where is Connecticut's supposed foreign policy expert in the Senate, Chris Murphy? Murphy is so proud he's a member of the Senate Foreign Relations Committee and thinks he knows international relations as well as his predecessor Joe Lieberman -- until it's time to hide and avoid tough issues, like the unprecedented Obama UN capitulation labeling much of the State of Israel "illegal." Cat got your tongue? We always seem to hear from you, except when you have to take a stand for Israel, you become Senator Silent.